I will be showing two books in the Exhibition of Handmade Artists Books at the New Mexico Capitol Rotunda Gallery in Santa Fe. The opening reception will be Friday, September 18, from 4-6 pm, and the show will run through December 11. 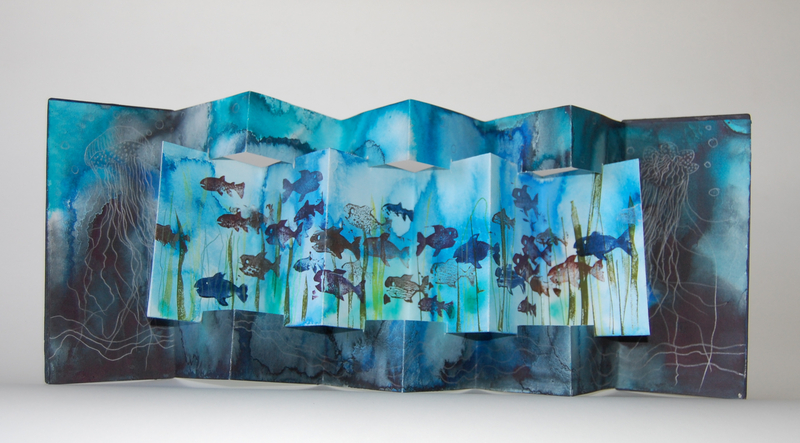 Here is a link to an article in the Journal North: http://www.abqjournal.com/639019/entertainment/headline-395.html The first book is “Swimming Upstream” , acrylic ink and hand-carved rubber stamps on paper, and the second is “In the Bosque: Night and Day”, acrylic ink on paper. Both are interwoven split concertinas and are 8 1/4″ high and 22″ long when opened out. 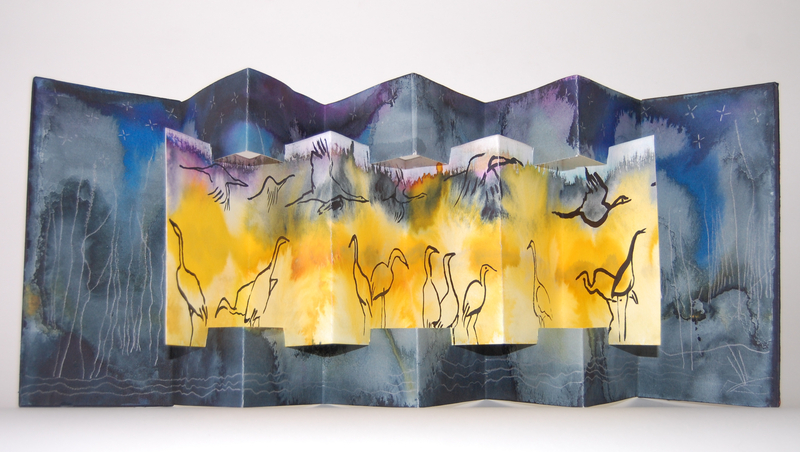 This entry was posted in Artists' Books and tagged Bosque del Apache Wildlife Refuge, Concertina books, fish, hand-carved rubber stamps, handmade artists books, Interwoven split concertinas, sandhill cranes. Bookmark the permalink.